Joe Messina grew up in Detroit, Michigan where he played all of his minor hockey. At the age of 17, Messina moved away and went on to play for the Wisconsin Pettit National “AAA” Select under-18 team in Milwaukee, Wisconsin. Following that, Messina furthered his hockey career and moved on to attend the nationally recognized hockey prep school Shattuck St. Mary’s in Faribault, Minnesota. That year Messina helped Shattuck’s Prep team to an amazing 51-7-3 record and a bid to the Midget “AAA” Major National Championships in Chicago. After attending Shattuck St. Mary’s, Messina was recruited to attend the State University of New York at Brockport to play men’s NCAA Division III Ice Hockey. Messina excelled and received a varsity letter 4 years consecutively at SUNY Brockport from 1998 – 2002. Messina also received several honors including the NCAA All American Scholar Athlete Award his senior year. At Brockport, Messina graduated with honors with a bachelor’s degree in Business Marketing and Communications and a minor in English. After retiring from playing hockey in 2002, Messina went on to work for nationally recognized Black & Decker – Dewalt Power Tool Corporation till 2004. In that time, Messina won several well respected awards at Black & Decker including the prestigious Black & Decker Legacy Award and the Black & Decker Values Award, which are only given once a year to the most outstanding sales representatives in the company. Messina has attended and worked at Bandits Goalie School since the summer of 1998. Messina is also considered by the owner and Director at Bandits, Stan Matwijiw, as “his 1st student”. Over the years, Messina has played an important role in the formation and development of Bandits into one of the premier goalie schools in North America. Some of Messina’s duties within Bandits include instruction, marketing and personnel. Messina also covers all of the Western Michigan market for Bandits Goalie School with team and private goalie instruction. Over the years, Messina’s growing list of students in the Grand Rapids area include some of the most elite amateur, AAA, high school, Jr., college and pro goalies in the Western Michigan area. Messina also works with several other local elite level college hockey programs, ACHA D1 Calvin College and NAIA D1 Aquinas College. 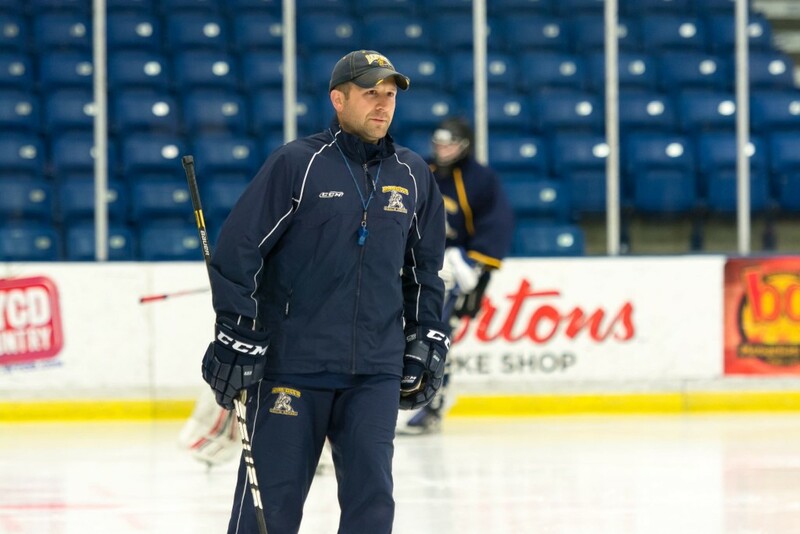 Messina’s energetic, passionate and instructional teaching methods make every goalie he instructs wanting to strive for perfection on and off the ice. Messina has also been the goalie coach for ACHA D1 and D2 powerhouse Davenport University since 2004. Messina helped coach the DU Panthers to 4 consecutive ACHA National Champions in 2008 (D2), 2009 (D2), 2010 (D2) and 2011 (D1). Messina added a 5th National Championship to his resume, coaching Aquinas College to a NAIA D1 National Championship in 2018.